I cant believe how fast January is leaving us; right around the corner is the sweetest holiday ever; Valentines Day! If your like me (a big ole sap who wears her heart on her sleeve) then you look forward to this day! 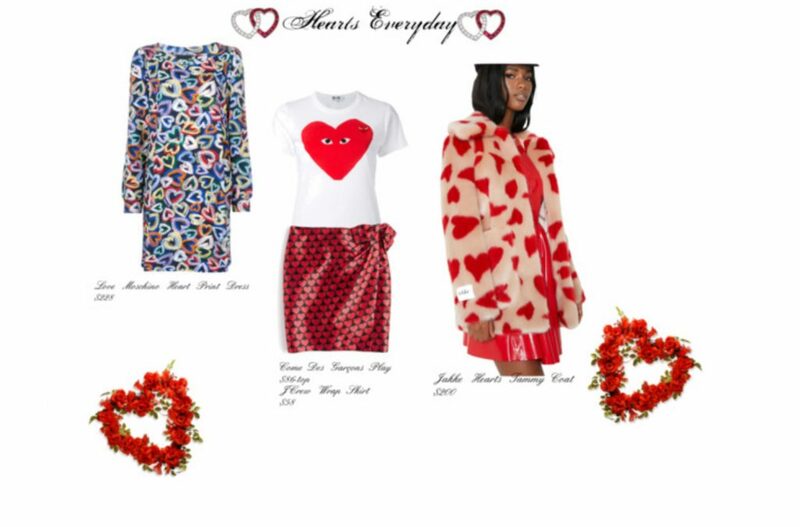 Although I love watching my annual romantic movie fest (Original Sin is my all time fave); I mostly look forward to scouring the web and stores for heart themed clothing and accessories to add to my vast clothing collection Because hearts can be worn everyday! You can choose in your face bold prints or more subtle hearts in a pattern that has a more abstract look; you can mix prints or wear a solid with it.. I have put together some outfit inspiration and in my next post I will cover accessories to go with these looks! Enjoy!